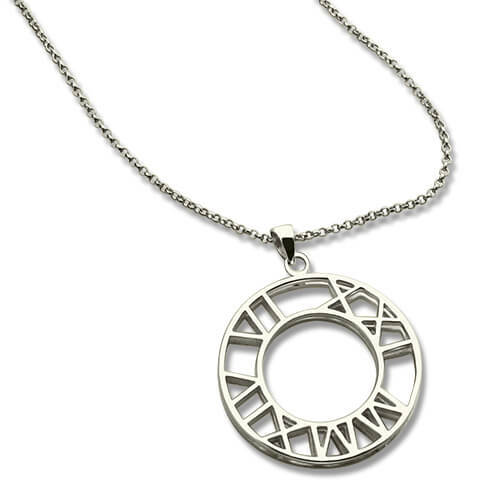 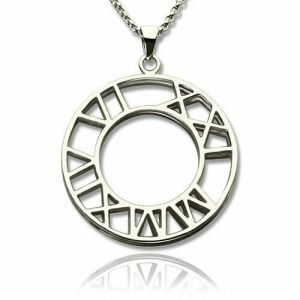 Sterling Silver Double Circle Roman Numeral Necklace Clock Design - Honor your romantic unity and eternity with a sterling silver circle pendant. 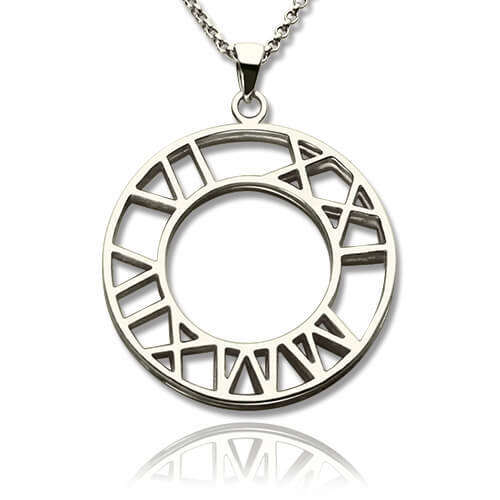 Customized to fit a love story,engrave a special date in roman numerals. Be creative! 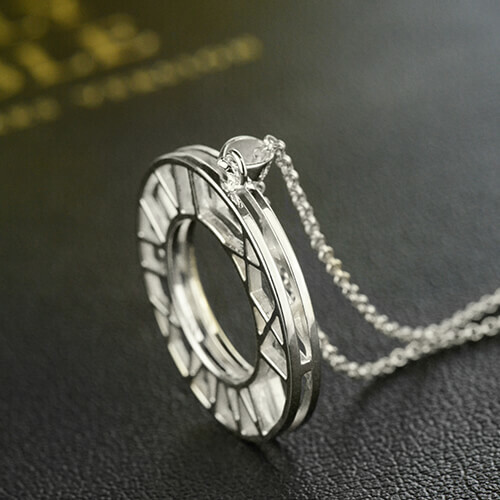 Personalize the pendant with the day you met, your first date, your wedding day or another special day.Hollywood's hottest trends this year. Included with this pendant is a sterling silver link chain. 1. 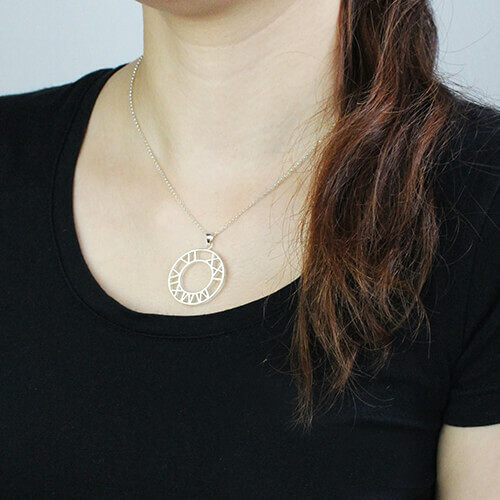 By default, Roman Numeral date format is: mm/dd/yy (according to American style),and their order is clockwise.